A lovely crowd of ladies, and gentleman, braved the stormy evening last night to attend Sewing Night at Stirling. 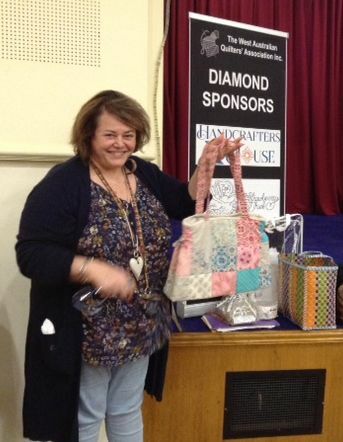 We had a lovely time, entertained by Michelle from Handcrafters House and Robyn from Strawberry Thief. Some wonderful supper was provided and we drew the prizes for the Lucky Numbers sale. I am delighted to announce the winners: First prize – number 67 went to Chris Yelland – a $100 voucher from The Quirky Stitch. Robyn Shapiro doubled her cash investment and received $2 for her confidence in number 175. Congratulations to all the winners – commiserations to the losers – and thanks to all for your participation.